The customer profitability definition is “the profit the firm makes from serving a customer or customer group over a specified period of time, specifically the difference between the revenues earned from and the costs associated with the customer relationship in a specified period” (Wikipedia). In other words, customer profitability focuses on the profitability of a specific customer. How much revenue do they bring in? How much time, resources, etc. do they require from your company? By calculating the profitability of each customer, you have some great business insights on productivity, resource allocation, etc. For example, if your customer service department is overwhelmed with work, then you can assess the number of requests per paying client. If a customer that is at the towards the bottom for revenue and the top for requests, then you can conclude several things. Those can include that you need to either increase their price, fire that customer, or limit the amount of requests for that customer. Customer profitability is a key metric utilized to inform decision making in various areas of the company. These decisions affect the value exchange between the customer and the company. Once we measure the profitability of our customers, we are now able to understand who our customers are and how we make a profit. It can provide great insights on the business that lead to focusing on what is best for the customer. Before you measure the profitability of customers, you need to confirm how your company calculates revenue and expenses. Remember, Profit = Revenue – Expenses. Some companies recognize revenue when it is received (cash basis accounting). But we recommend that organizations use accrual basis accounting – or recognize revenue when it is earned. If you are bigger than a hot dog stand, then you should be using accrual accounting. In regards to expenses, it’s also important to allocate as many expenses through the customer as possible. Think about capital, debt, operational costs, etc. Once you have figured out the respective revenue and expenses for a specific customer, then you are able to calculate its profitability. Next, you need an analysis all of your customers. If your customer isn’t valuable or is costing you too much, then reassess your pricing. Click here to learn how to price for profit with our Pricing for Profit Inspection Guide. Customer analysis, defined as the process of analyzing customers and their habits, is one of the most important areas of study in a business. By observing the actions of various customers you start to see a trend of what your average customer is like and what their habits look like. This is a hint at who your target market could be. Behavioral trends amongst customers are important in how your company decides to carry on their marketing efforts. Once you analyze your customer base and determine your most profitable customers it is important to allocate the majority of your efforts towards them to make your most profitable customer your target customer. Managing customer profitability is larger than just the sales or fulfillment of product/service for the customer. It also includes marketing, finance, customer service, product, and operations. If you manage the profitability of customers, then you will have a better chance of catching areas of inefficiencies. Some ways to improve customer profitability are to change the way you provide commission to the salesperson. Instead of paying their commission based on revenue, base it on the profitability. This can either be focused on the margin percentage (i.e. a sliding scale) or on the dollar amount in profits. Managing customer profitability is important for various reasons, not only does it set you apart from the competition by providing more value to your customers, but it also improves the company’s revenues. When you manage customer profitability you are making the value exchange from company to customer more efficient and more profitable. If you are looking for other ways to improve profitability, then download our Pricing for Profit Inspection Guide. The term “Non-profit” is slightly deceiving. Non-profit does not mean “no profit.” In reality, it means that the organization is not in existence for the sole purpose of making profits. Successful non-profits know how to effectively earn profits. Then they need to know how to recycle those funds back into the organization’s mission and operations. We’re taking a look at non-profit vs for-profit entities. Non-profits have a lot in common with for-profit organizations. Classify both organizations as business entities. This is because they expect to earn profits. If losses are incurred, the organization is at risk for shutting down. A surplus of revenue over expenses is essential for ensuring the continuation of both non-profits and for-profit entities. Both often create legal separation between the organization itself and its members. This protects members and employees from financial and legal liabilities. Most for-profits have full-time employees and managers, and many larger for-profits also have chief officers to handle management of the entire business. Although non-profits often have volunteers as staff, larger non-profits need a full-time staff of employees, managers, and chief officers to support the organization. Both non-profits and for-profits often have a board of directors of elected officials who oversee the organization or company. Many for-profit business strategies and management techniques are effectively incorporated into non-profit organizations. Creating and implementing budgets and cash management are financial management tools that are vital to maintaining operations. Cash is king. If a for-profit or non-profit does not have enough cash reserves to continue operations or to provide services, the organization is probably on the road to failure. Since revenue can often be hard to predict, control of expenses is critical in budgeting. Not only are budgets a method for allocating resources, but they also provide a way to control expenses. 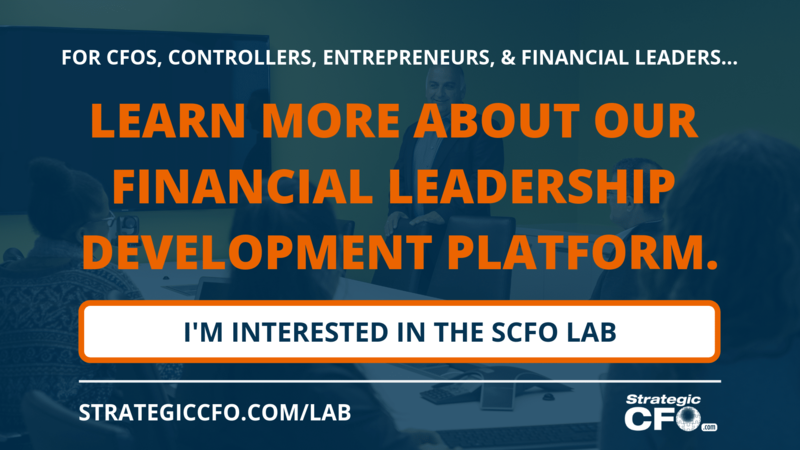 Just as a for-profit company needs a financial team and manager to plan and budget enough funds for operations and developments, a non-profit needs a financial supervisor to plan and budget sufficient lead-time to get grants and funds for organizational programs. Most importantly, goals and objectives must be clear for all members of both for-profit and non-profit organizations. If different members and employees are not working toward the same mission, then the organization will not be on the right path to success. The end goal of a for-profit most often would be maximizing profits and financial benefits for its owners and/or shareholders. The end goal of a non-profit should be ensuring that there are enough profits to continue making a difference. Also, they need to provide for the “greater good” of the community, nation, or the world. Click here to read more about Non-profit vs Not-for-Profit. Business is rarely easy. Even in a growth market, there are still challenges. They are just different challenges than in a recession. In Houston, we are seeing companies who are continuing to grow and generate cash. As they seek to expand their operations and invest in infrastructure, they are running up against the debt limits set by their bank. Right now, banks want to lend money! That is how they earn a profit. Unfortunately, a lot of companies are not making it easy on them. Pursuing an aggressive tax-minimization strategy may generate cash to a point, but makes it difficult for banks to lend the company money once the tax savings aren’t enough to fuel growth. Companies who violate the concept of sustainable growth, by borrowing more than the company’s internal growth rate can sustain, tie their banker’s hands and often make it necessary to seek sources of funding outside their bank. Another obstacle for the bank loaning more money is the regulators. Since the financial meltdown, bank regulation has increase dramatically and the banks have to keep the regulators happy. We’re finding that in order to get more leverage, companies often just need to address the bank’s issues in a manner that makes sense. Bankers hate surprises. Consequently, the key to a successful banking relationship is communication. Openly communicating your plans with your banker not only gives them confidence that you know where you are going, but gives them the opportunity to help you get there. Learn how you can be the best wingman with our free How to be a Wingman guide! 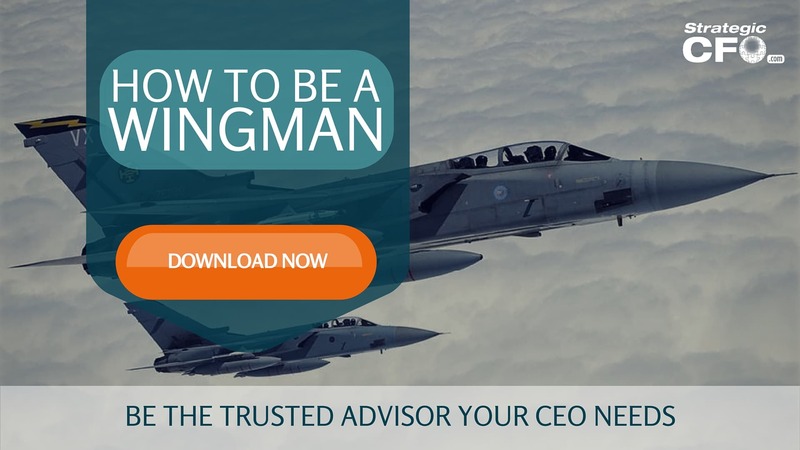 Be the trusted advisor your CEO needs. Over time weeds grow in any garden. In the same way, unprofitable customers work their way into your company. To avoid the high costs of low profit customers, you should perform an annual analysis of customer profitability. Therefore, weed your garden of customers who are sapping your profits and cash flow. Although there are many ways to look at your customer base, some of the factors to consider are sales volume, gross margin, profitability, number of transactions, and average sale per transaction. Looking at this information will not only shed light on those customers who are a drain on company resources, but highlight opportunities to sell more to higher margin customers who have low activity. 1. The elimination of customers that are costing you money. Sometimes the costs may be indirect. Firing the customers with low gross margins is straightforward, but what about the customers that pay a good gross margin but require a lot of effort from operations? Not only do you need to address gross margin but you need to consider the costs to service that customer. If you get rid of the clients that are high maintenance, then it frees your organization up to focus on the more profitable customers. While a successful strategy might be to cross sell additional products or services to those clients who value the relationship, another strategy would be to target new customers with the same characteristics as the good clients you have today. The benefits of weeding out high-maintenance, low profit customers will reach across the organization. The sales department benefits by focusing their prospecting on the right clients who value and will pay for the company’s products and services. Operations and finance will realize improved productivity in servicing only those customers who are reasonable in their demands for service. No more getting beaten up on margins, “special” payment terms, or Friday afternoon rush jobs! The bottom line is the advantage of customer profitability analysis is improved profitability and cash flow! The two ingredients necessary to grow a company faster. Your CEO needs to understand each customer’s profitability and for you to be their trusted advisor. Click here to learn how you can be the best wingman with our free How to be a Wingman guide! Why Don’t I Have Cash? I told him he was caught in what I call the operating cycle trap. Don looked at me and said “What is that?” I told him his operating cycle is; 1) the time from when he first purchases raw materials, 2) converts the raw materials to a finished product, 3) sells the finished products, 4) converts the accounts receivable to cash. I continued by saying your problem arises when the operating cycle is greater than the credit terms you receive from your suppliers. Another way to solve your company’s needs is to consider approaching another bank that may take a more aggressive approach to increasing your line of credit. He then told me that he has been to three different banks. They all said they think they will be able to increase his credit line. The end result has been every bank has either a) they want Don’s business, but the line would be the same as his current line of credit, or b) the increase was so small it really wouldn’t solve his problem. I told him that is what I would expect. Bankers’ underwriting policies for lines of credit are similar.